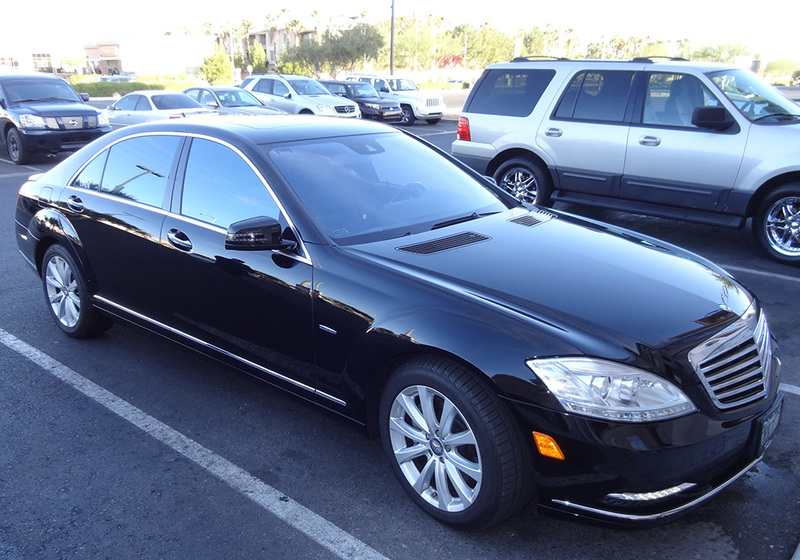 Omni provides luxury sedans, SUVs, stretch limousines, super stretch limousines, and luxury buses for Las Vegas and surrounding areas. This trip was shorter but even more stylish. 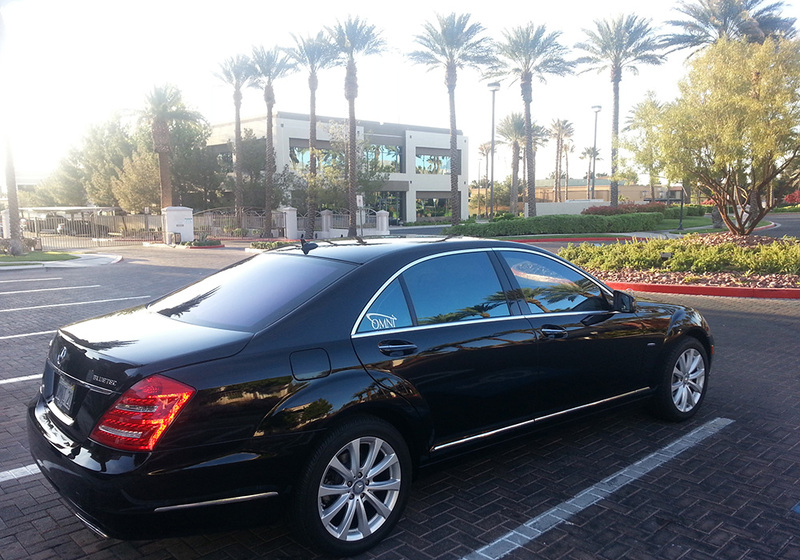 Omni’s Mercedes S350, BlueTEC Diesel picked us up around daybreak. The S350 speaks volumes when it rolls up. Sharp lines with occasional curves wrapped in jet-black artistry. It’s an expensive poem – aggressive, sculpted, seductive. A little under 100K. BlueTEC is arguably the world’s most advanced clean diesel technology. The 3.0-liter turbodiesel V-6 in the S350 BlueTEC delivers 240 hp, a massive 455 lb-ft of torque, and acceleration on par with many gasoline V-8s. Mercedes-Benz, pioneer of the original diesel car, has reinvented it without the noise, odor and emissions of old. By injecting a solution called AdBlue® into the exhaust, BlueTEC reduces smog-causing NOx to harmless nitrogen and water vapor. And with better highway mpg than some 4-cylinders and hybrids, if offers a cruising range of over 675 miles. There you have it, attractive, powerful, quiet, and with environmental stewardship. 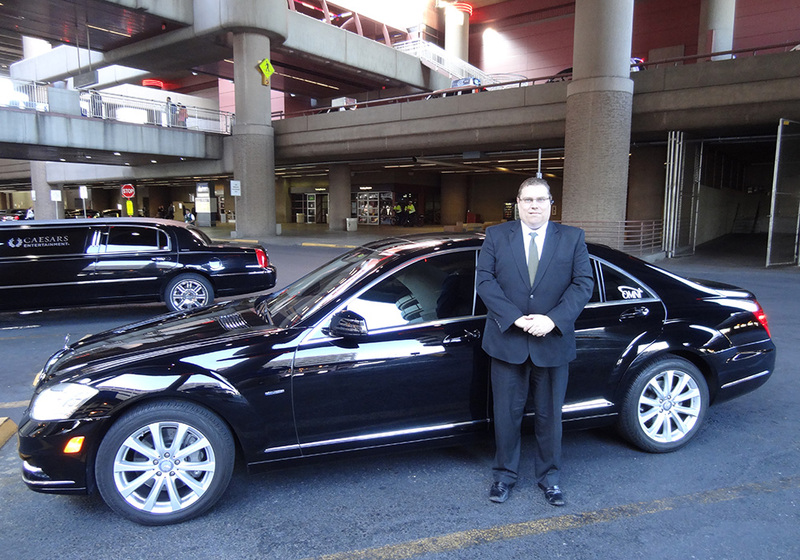 Mark was our driver, dressed in a three-piece suit and offering consummate service, like Ali the time before. Despite the early hour he looked alert and polished. He opened my door then slipped swiftly to the other side to open my programmer’s door. The Mercedes interior looked like a modern art museum. Edgy, spotless, and inviting. Let’s add this: highly functional. Wi-Fi is available. I wish I would have had a legal brief to review or even presidential speech to practice, to better fit the environment. Our biggest order of business, apart from arriving at the airport on time, was stopping at Dunkin Donuts. My programmer’s request. I live off Whole Foods Market and he Dunkin Donuts (mixed with Carl’s Junior). Perhaps he’s like our imagined aliens, large-brained and brilliant, not concerning themselves with the body. So we pull up, Mark leaps out to open our doors, and into Dunkin Donuts we go. No wait, actually my programmer steps in to peruse and purchase sweets, while I’m working, taking pictures of the exterior and interior. Hmmm. What does he get for me? The plain bagel. Not bad but an “everything bagel” or “cheddar bagel” would have been better, especially alongside his spread of chocolate doughnuts and maple bar. We cruise to the airport as if on train tracks, the ride feels that smooth. 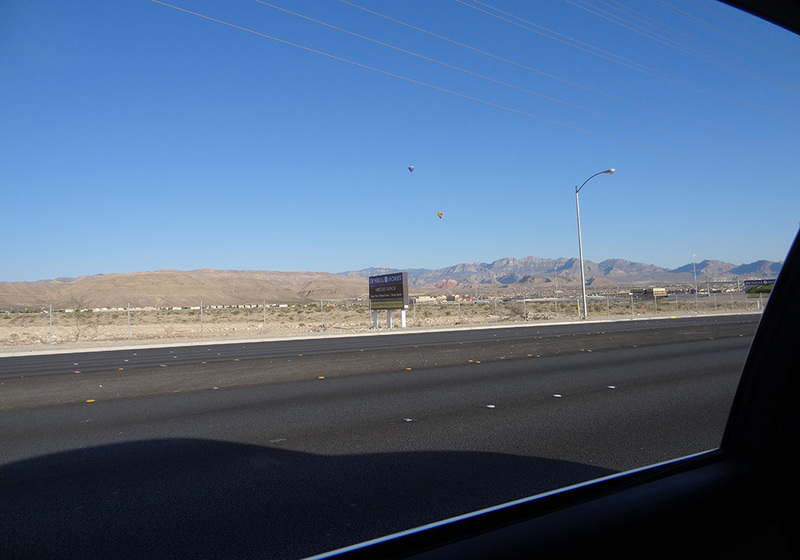 Some hot air balloons pepper the sunny sky. My usual trip to a terminal feels rushed and stressful, as I do battle with other cars, taxis, buses, vans, and trucks. Not so with Omni. Just an unruffled glide. We arrive with ample time to spare. 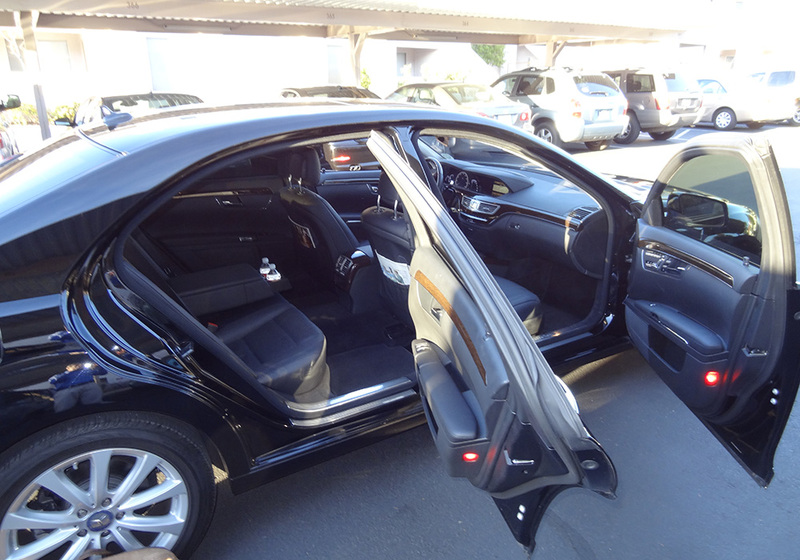 After dropping off my programmer to catch his flight, I must regrettably part ways with Mark and the S350 Mercedes. I’m meeting another friend for breakfast and a ride back to Summerlin. I’ve visited LAS several times but am not sure the quickest route to Level 3 and short-term parking. So I ask Mark. He walks me all the way to the elevator and provides clear directions. Yes, he walks me to the proper elevator a good football field away, to ensure I’m on the right route. As opposed to simply pointing the way and giving ten different directions, which I would surely forget. This action exemplifies Omni: first class. 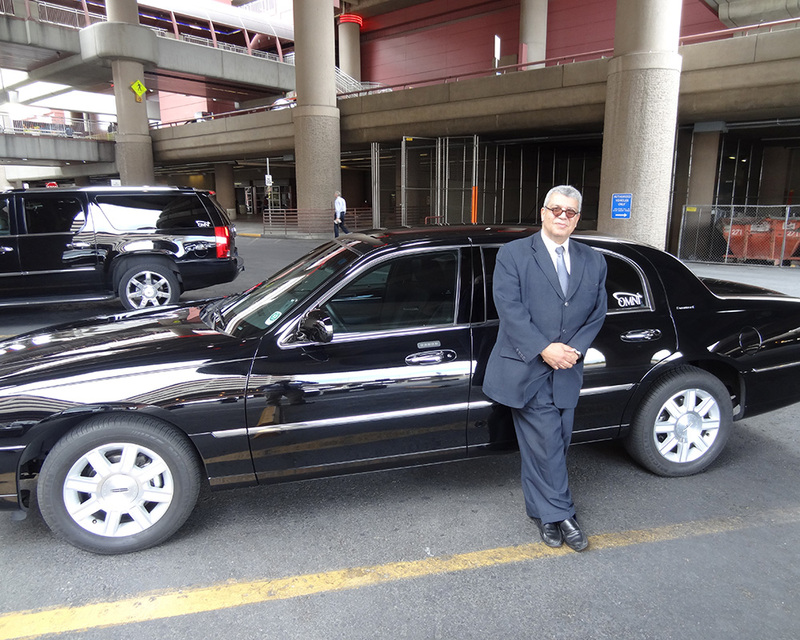 Limos in las vegas are great way to explore the sin city and its various faces! !